David Johnson discusses Sankaran’s Sensation method, Scholten’s Periodic Table approach and much more. AS: Is it true that you used to take a jet from Alaska to Seattle, every month, to study homeopathy? DJ: Yes, at the time my wife and I were working as physician assistants for the Native Alaskan community in south-central Alaska. 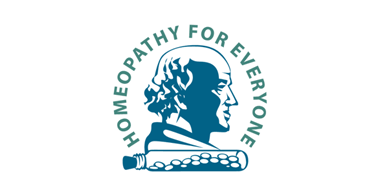 The closest homeopathy course was hosted by the International Foundation for Homeopathy in Seattle, Washington– a two hour drive and three hour flight away from our home. The course was taught on a 4 day weekend once a month for 5 months–120 hours total–and although I’d learned a great deal I didn’t feel qualified to practice. Ultimately we left the beautiful scenery in Alaska and moved to Minneapolis, Minnesota, because a new 4 year program was just beginning. AS: Two hours in a car and three in a plane- that’s determination! As you were learning, what methods did you find most effective? DJ: I was thrilled to have the opportunity to study. The instructors could speak the medical language, but also spoke a whole different language I didn’t understand. We watched before and after videos which demonstrated the rationale for choosing a remedy, and then the subsequent healing. I clearly saw how profound change had occurred in the clients, which went beyond the relief I was accustomed to seeing in conventional practice. I saw how a change in their entire appearance had transpired–improved color in their faces, brighter eyes–and they described how well they were feeling. I could see how the improvement was different–deeper–than what was possible through conventional medicine. Back in the small town clinic where I worked, people could easily return every week. So I was able to see much more directly the results of the prescription medicines I was using. I often think about a young, mild-mannered fisherman who had very high blood pressure and associated left ventricular hypertrophy. He’d been diagnosed at the age of eleven as having “essential hypertension”–in other words, no known cause. At the time when I first saw him, I was using strictly conventional approaches. His blood pressure finally came into an acceptable range using four ( ! ) different types of blood pressure medications. And yet, after his blood pressure was finally “controlled”, he started becoming very depressed, and his sister then opened up to us about how he’d been severely and repeatedly abused as a child. I recognized the connection between the abuse and hypertension–as well as the principle of “suppression” in action! Although I wasn’t able to help him, the experience deeply impressed upon me how important it was to learn other ways of dealing with health problems. It’s a privilege and responsibility to be able to help others in similar situations, and homeopathy is distinguished by the specificity with which we’re able to address the whole person. AS: You’ve come a long way since then and you’re now an accomplished classical homeopath. You’ve also also developed your skills in Scholten’s Periodic table method. Because you express things so clearly, could you explain the core idea of that to our readers? DJ: In my opinion, Jan Scholten’s previous experience as a chemist dovetailed beautifully with his homeopathic understanding of the elements. The elements in the table are “living energies”, each of which has its own unique personality and fingerprint. We can understand these personalities through proving information, and to some extent those same personalities are further illuminated through their place in our material world–which as Einstein’s formula suggests is a tangible extension of the energetic world. So again we can start by perceiving the elements of the periodic table as living, dynamic energies organized in relation to each other–progressive atomic weights, differing charges, noble gases, etc. After learning the fundamental “personalities” of common homeopathic remedies such as Calcarea carbonica or Kali carbonicum, one sees how each of these salts changes when the anion changes. The various choices for anions (e.g., Sulphur, Arsenicum, Phosphorus, Nitrogen, Bromine, Iodatum, etc.) help us to match nuances in the history more precisely, rather than using a single element alone, or using a more commonly recognized compound or salt. For example, when Calc or Kali are bonded with phosphorus (instead of carbon), it makes sense that Calc phos now has the experience ‘When at home (Calc) desires to go out (Phos) and when out (Phos) desires to go home‘ (Calc). And we see why it’s known for headaches in school girls (Calc – growth and development) after a long day at school (Phos –sensitivity). Or why Kali phos would be known for mental fatigue from over-study (impressionability and susceptibility–phos–affected by prolonged structured thinking–kali). Of course, this requires a solid understanding of the more common elements and mineral compounds as discovered through provings. Scholten’s concept of progressive stages of performance in the table, adds another layer of complexity to the above. He recognized some general differences between remedies at the left side of the table, such as Calcarea or Baryta, compared to those in the middle of the same rows–Cuprum and Aurum. Calcarea have a fear of their condition being observed, and Cuprum is dictatorial and always claims to be right. Baryta have dependency and the feeling others are laughing at them, while Aurum has the self-perception of being a great person with great responsibility. Scholten also compared how remedies in the middle of the table compared to those at the right. For example, if Copper, Silver or Gold signify peak expression, Germanium at the right feels they’re just “going through the motions“. Stannum and Plumbum, in the same column, also experience a state of emptiness and decline. Alternately, if one looks at the periodic table in a spiral format, starting with hydrogen in the center and progressing with increasing atomic weights, one can see a big difference between the elements at the center of the spiral, which are much lighter, as compared to those at the periphery, which are heavier, and in general carry much deeper pathology. For example, hydrogen has a conflict between earthly and otherworldly existence–‘do I even want to take on the challenges which come with incarnation?’–whereas Aurum can experience suicidal feelings in relation to a huge sense of failure to oneself and others. Keeping this spiral progression in mind (insofar as one first moves through lighter elements and lighter themes to reach heavier elements and heavier themes) we can return to the more common rectangular periodic table. The elements lying horizontally with Cuprum are task-oriented; the elements in line with Argentum apply the “task” to creative expression, and the elements in line with Gold apply “creative expression” to influence and power, making a difference in the world–for better (hopefully) or occasionally worse! Which leads to a group of the most amazing remedies we have in homeopathy (actually, they’re all amazing!). The lanthanides, at atomic weight 57 to 71, are beyond the silver line, and are a subset of elements just beginning the gold line. It’s as if they could all be superimposed in the third column–known for confusion and irresolution– but each of the lanthanides are also aligned with the respective columns of elements above them. The lanthanides have problems knowing how to apply their creative gifts to a golden ideal–in other words, they’re having problems with full self-actualization–expressing their “inner gold” out in the world. But people can have relative degrees of confidence with respect to what they perceive inside themselves–Lanthanum (the first lanthanide) feels confusion relative to his inner gifts, while Terbium (in line with Cuprum, Argentum and Aurum) perceives himself as fully capable, but just stymied with respect to fuller expression in the outer world. So along with considering Silica, Lycopodium, Gelsemium or Lac-caninum, if a person complains of problems with confidence, we can also look at Scholten’s stages. The hundreds of additional choices allow us to be very precise according to where a person perceives themselves in relation to optimal performance. Are they aspiring to a peak in the future, or are they recalling a peak from the past? Perhaps they’re describing a thwarted desire to express their gifts more fully? If they’re experiencing distress as a result, remedies chosen according to periodic table themes are invaluable. AS: It does seem to allow more fine tuning in prescribing. But then you have to make those subtle distinctions in reading the patient. You personally do that very well, and have managed to find clear themes in a tangled web of symptoms. We’ve put a list of your cases at the end of this interview, to illustrate how you did that. In which cases or patients would Scholten’s approach be most fruitful? DJ: Scholten’s approach is most useful when the history revolves primarily around distress related to “performance” in life, whether that performance is predominately task-oriented, creative, or related to greater power and influence. The person may experience frustration, anger, sadness, anxiety or fear in relation to their desire to 1) refine or perfect their performance, 2) maintain their current level of competency, 3) return to a previous peak performance capacity, or to 4) express a latent inner potential more fully and completely in the world. AS: You also have a handle on Sankaran’s sensation method. Can you put that in a nutshell? AS: Ah well, perhaps a nutshell is too small. How about a few paragraphs? DJ: When I first studied sensation, I came away feeling I’d be unable to apply it in my practice. As I learned more, however, I saw it as a way of distinguishing between my interpretations of a person’s past history (abandonment, betrayal, abuse, etc.) and their direct experience of an imbalanced vital force. In other words, to whatever extent past influences played a role in their present state of disease, those influences will be reflected in the present. The sensation method trusts that the patients are the best diagnosticians, and they will lead us to the remedy. By paying close attention to their spontaneous gestures, and patiently asking them to expand upon and clarify experience-based words symbolic of their state, we gradually witness a direct expression of the mistuned vital force, and by extension a corresponding remedy source. The sensation method helps distinguish intellectual interpretation from feeling, narrative from experience, and that which is balanced from that which needs to be cured. The sensation method ultimately facilitates “un-self-consciousness” in both the client and practitioner. To that end I’ve found it helpful to reassure the client her experience is exactly what I need to understand, and that I want to experience the world through her eyes. For those clients who trust that their immediate experience of disease is a reliable guide for the homeopath, and who are able to work with the homeopath in expressing their experiential state, the sensation method leads to the use of many new and deep-acting remedies. And it only serves to deepen our love and appreciation for the mysteries of homeopathy. AS: That was a lovely summary. From what you’ve said, it sounds like focusing on the sensation, solves the problem of a client presenting a manufactured “image” of herself? DJ: Yes, exactly. And it becomes much easier for both the practitioner and client to recognize when that’s happening in the interview. It’s natural that most histories start out with facts, explanations why, and often a lot of self-judgment. But as the focus shifts to the person’s immediate experience, they gradually settle more and more into a feeling state, which when expressed through spontaneous gestures and unique and characteristic words, more closely matches their imbalanced energy state. During the interview, I may need to ask the client to return to their feeling state, as it’s common for any of us to go up into our heads to interpret experience. They may have been expressing feelings and then go back to an intellectual interpretation of their experience, or they may relate how they’re able to get out of an uncomfortable state by thinking positive thoughts, going out for a run, praying, meditating, etc. I’ll affirm that while it’s good they’re able to use these tools to feel better, we don’t need a remedy to change any of that. Our focus is on what happens instinctively and habitually in the moment–e.g., what is the experience when one is caught off-guard and unable to compensate? I may need to state how words are not exactly the same as experience (because different languages use different words! ), and ask a client to use different words or images to describe their state. If we get stuck, I may ask them to describe the opposite, which often leads us in a new direction. Or they may describe the same experience in a strong or recurrent dream. Even though history-taking with the use of sensation can feel like a step into the unknown, if the person is given the time, space, and sometimes reassurance, that we’re doing exactly what we need to do to find a remedy, a new door always seems to open just when it feels like there’s no more to be said. And by the end of the interview, the person knows they’ve been “heard” in a very deep way, and there’s a confidence that their core imbalance is clearly understood. AS: It reminds me of Fritz Perls’ Gestalt therapy, staying with the feeling. People used to tell him they felt “hurt” by a remark, and he would say, “Where does it hurt?” So, once you have identified the sensation that runs through the case, how do you determine what remedy that represents? Most materia medicas don’t identify remedies that way. “There is no invisible disease alteration in the human interior that, by disease signs and symptoms, would not present itself to the exactly observing physician for discernment–quite in keeping with the infinite goodness of the all wise Life-sustainer of humanity” (§14). “Let all that is supposition, merely asserted or even fabricated, be entirely excluded . . . Let everything be the pure language of nature, carefully and sincerely interrogated”. (§144). AS: You’ve given us a lot of food for thought David. I hope we can have you back again sometime. Thanks for sharing with us today. DJ: And thank you too, Alan. We may never “arrive” in homeopathy, but we can certainly appreciate the journey every step of the way! Clarity in few words, better than a whole book! Thank you. Thank you for the feedback, Eileen. I’m glad the article was helpful, and best wishes to you. Thanks for the feedback, Dr. Shekhar! Great read Dave, so impressed with your ease and elegance in explaining this often misunderstood art and science! I have been seeing David for about 5 months and my life has changed so much for the positive. 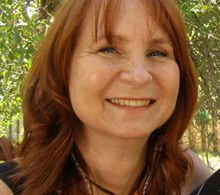 I am an intuitive healer and my practice and my personal life have changed so much for the better. I highly recommend David. This article came up on my news feed and I was thrilled that he again is being published and recognized for his natural talents, and his ability to actually heal the body. Thank you David, much love and joy to you.